I have always been a huge fan of Loyac. For those of you who have not heard about it, it is a non-profit organization that aims to promote the development of youth through work opportunities, volunteer projects and many more programs and activities. Recently they started with LAPA, where they offer classes in dance (hip hop, break dance, salsa), singing, guitar and violin playing, and also drama. Take a look at their new Schedule. 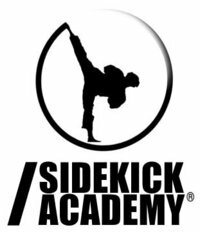 A very interesting academy that offers a variety of programs for adults and children, Sidekick Academy has caught my attention. Yes this is more sports related rather than performance, but it does help the child in learning about his/her body, building his/her self-esteem, and encouraging independence. Three characteristics that can empower the performer inside him/her. The kids' program description made me almost want to stand up and cheer! Not only did they highlight defense rather than fighting (see my earlier post), but they also mentioned the benefits of structure and physical discipline for children with learning difficulties (or learning differences as I prefer to say). Bravo Sidekick Academy! 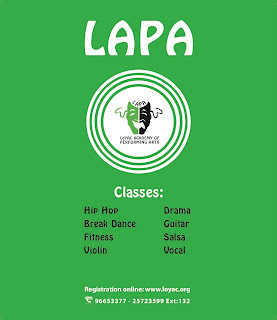 The kids' program divides children into two groups by age: 4-7 year and 8-14years. Click here for the program schedule. A haven, a sanctuary and an inspiration. 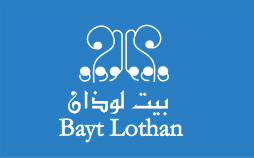 Bayt Lothan is a space where events blossom, individuals shine and creativity is born. They constantly change their training classes, so do visit their website. Training courses include music, film-making, photography, oil painting, and arts and crafts. One way to introduce your child into performance-related activities is by hiring private instructors, be it a piano teacher, dance instructor, artist, etc. Find available instructors by asking your child's teachers at school (art, music, drama). Also try contacting T.V/Radio personalities (many of them are on twitter). Ask around and you will be sure to find a few recommendations. Many schools offer after-school clubs and programs. Make sure you ask about your school's options, but also look for schools that offer after-school programs that are open for the public (not their own students). Some schools have done that on-site and off-site.